Spring has arrived along with flowers, greening trees and grass, and thinner, shorter and lighter fabrics in the workplace are inevitable. Temperatures, depending on where you are, are rising, as are the chances of inappropriate dress in the workplace. Summer dress can be a subconscious signal to employees to dress down. Employees can look more suitable for the beach than the office. Even in workplaces where casual wardrobe is expected, employees can cross lines of taste, impropriety and office decorum. Employees aren’t children, but stretch boundaries to see how far an organization will bend. Regardless of the policy, presenting a positive images to clients, competitors and employee prospects is essential. To prevent misunderstandings and potential lawsuits, announce summer dress expectations before they have a chance to occur. Hot weather means less body coverage that can be viewed as inappropriate or distracting to co-workers or management. A standing dress policy can dissuade employees from making bad decisions or getting comfortable with a lax manager or department. Set clear expectations for all employees, not just managers and salespeople. First, decide how formal your organization wants to go. Do you want business casual, casual or professional at all times? Various jobs may determine the dress code, but each level of customer contact – high, medium, low or none, should be represented. Employees need guidelines to refer to when deciding what to wear to work. A written policy will make their decisions easier to follow. Images to represent those policies will help prevent misunderstandings. Post the guide in communal areas and send email reminders if needed. Post in advance of the day the policy begins. Be prepared to intervene between managers and employees to settle disagreements. Comply with EEOC standards. Allow room for accommodations for legitimate employee issues. Remind employees that when prospects or clients tour the facility, a higher level of dress will be expected. Then communicate in advance so employees can plan what to wear. For a policy to work, treat everyone in each group the same, no exceptions. Spell out consequences for flaunting the rules, then carry out the policy. Don’t single out women. Strive for a gender-neutral policy. Men and women must be equally accountable for dress. Don’t assume. You may think it’s perfectly obvious what not to wear, but your idea may not conform with someone else’s. Provide examples, either in word or in image. Talk about hemlines, pant length (whether ankle, capris, skorts or shorts meet code), sleeve length (whether sleeveless, spaghetti straps, etc. are allowed), what is strictly off limits (list unacceptable clothing choices – halters or t-shirts or whatever you decide) and take the opportunity to emphasize hygiene, cleanliness, state of clothing (no holes, stains, wrinkles, etc. ), tucked or untucked and jeans or no jeans. 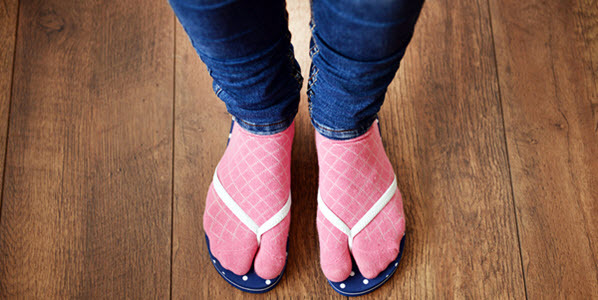 Cover footwear. For instance, are sandals okay, but flip flops not? What about swim shoes, tennis shoes or thong sandals? Take a look at the SHRM (Society for Human Resource Management) website. It offers a sample policy draft online at https://www.shrm.org/resourcesandtools/tools-and-samples/policies/pages/cms_012429.aspx. View Insured Solutions’ Sales FAQs at https://www.insuredsolutions.net/faq/clients_faq/FAQ.php. This entry was posted	on Tuesday, May 8th, 2018 at 2:27 PM	and is filed under Blog, Client. You can follow any responses to this entry through the RSS 2.0 feed. You can leave a response, or trackback from your own site. The most common HR challenges and how to handle them.